The other day I was in a project feedback meeting. I caught myself using the phrase ‘non-negotiable recommendations’. 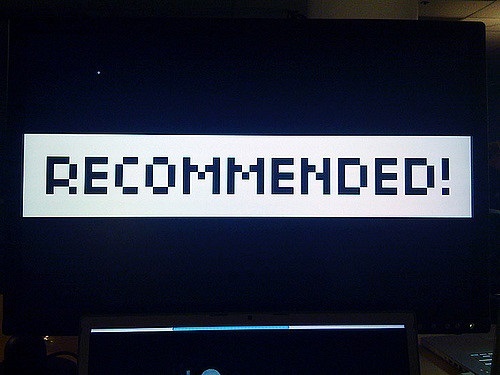 Now obviously a recommendation is something for consideration and is therefore intrinsically negotiable. So why did everyone nod in agreement at the idea of non-negotiable recommendations? Let me go back to the beginning of the story. This client had approximately 900 products grouped into 50-odd top level groups in a big long list. The list was OK, but the page created was dull and the groups weren’t exactly clear. The users didn’t always know which they wanted from the top 50, and when they chose they could be confronted with a further list of up to 100. So amongst the other activities for the site, we had to create new ways of grouping. The eventual recommendation was to go for three levels rather than two: a first level of 12 groups, then an intermediate level with between two and fifteen sub-groups depending on the higher level group, and then finally the 900 products. So the user has to choose from 12, then from up to 15, then from up to 15 again. Still with me? (Aside: we also provided a variety of other ways of getting to the product more quickly – not part of the story). Now, to make all this more concrete we did the work of allocating the products to groups. To be accurate, I sat and scrolled around in spreadsheets for several days of tedium (the glamorous life of the usability consultant!). I could go on a quiz show and beat everyone if the subject were those product titles and descriptions. But the point was that although I suggested the groupings and names for the groupings, they needed to be checked and maintained by the client. So the concrete recommendations of ‘make these groups’, ‘call them this’ and ‘use these subgroups’ are there – but they aren’t as important as the underlying recommendation of creating the first level of somewhere between 8 and 15 groups, a sub-group level of somewhere between two and 20 in each of the first levels, and a final level somewhere between two and 30. See the fuzziness creeping in? The concrete example recommendations had their value to show how it would work, but it really wouldn’t matter if products changed groups or the groups got renamed: hence the underlying recommendation.